Finishing the Winter overhaul took a bit longer than planned. On replacing the leaking coolant hose, we found another leak, this time in a different hose. After this was replaced we were still dripping coolant, and this time we traced it to the water pump. This is a time consuming job, since the front seat has to come out to get access through to the engine compartment. The pump was replaced with an uprated OEM part as well as the thermostat (which you have to remove to get access) and new gaskets. The thermostat is a low temperature version which is one way of limiting bore scoring in these Porsche engines. In all we have refilled the coolant 3 times now - and hopefully that is the last time for a while. We are far too familiar with the process of bleeding the system, which takes around 45mins each time! 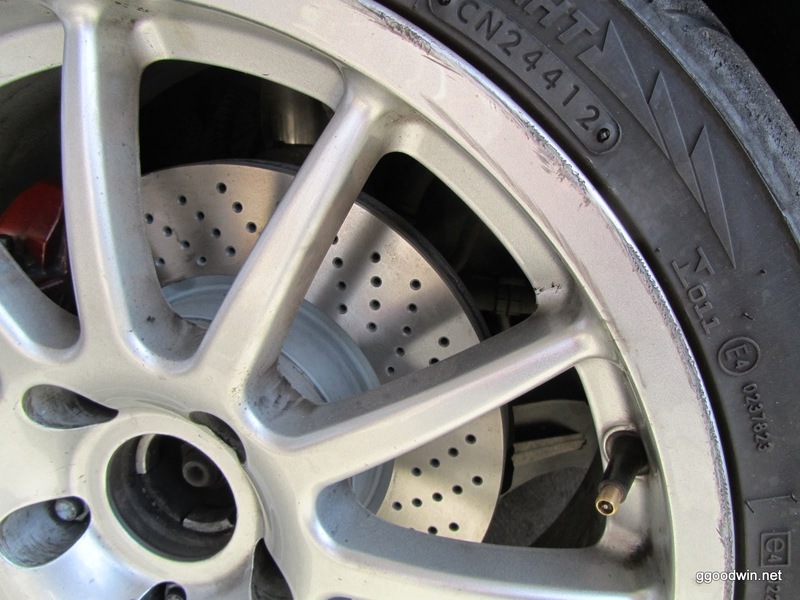 Our front brakes were worn down to 2-3mm, so these have been changed along with new brake discs. 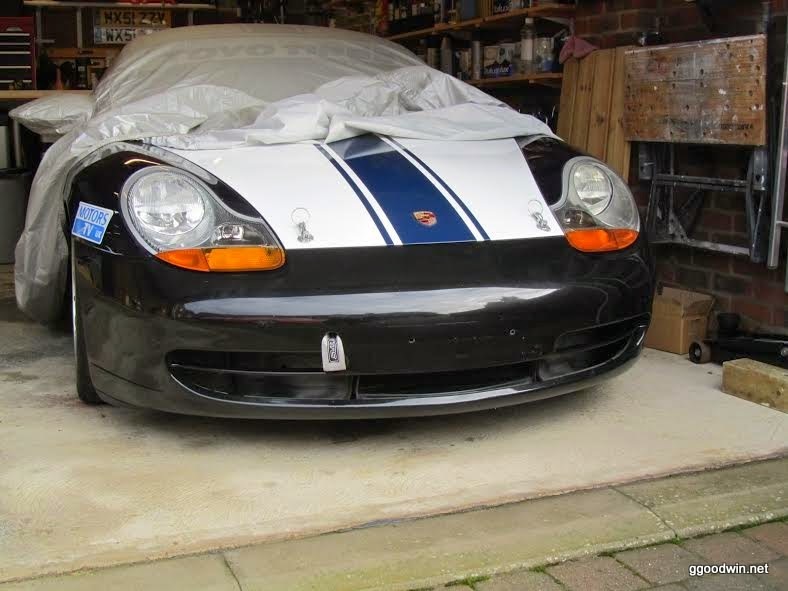 The pads are Mintex race pads, but the discs are OEM standard fit drilled and vented ones for a 3.2S Boxster. 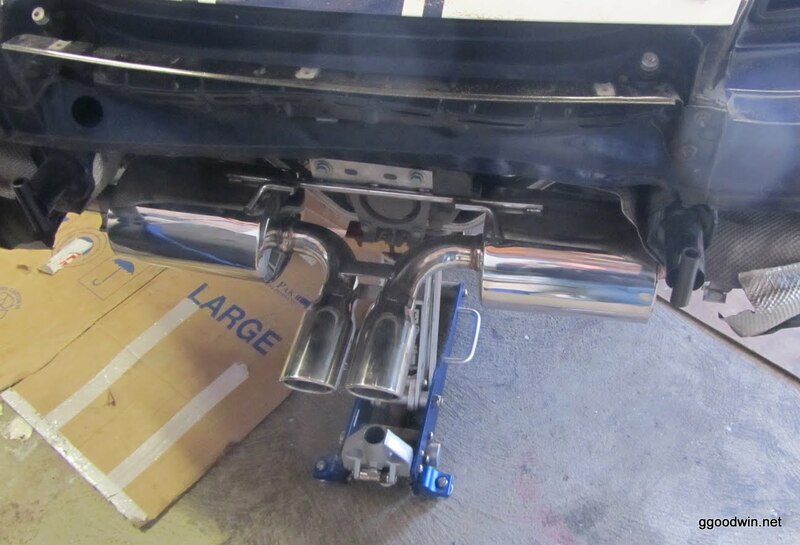 A new sports exhaust has also been purchased and fitted, saving around 10KG's of weight. This is significant, given the minimum weight limit is reduced this year by 20KG's. The final servicing work was to replace the engine oil and filter. We have used the last of our Mobil 1 15-50 Motorsport oil. This oil is no longer being produced so an alternative is needed for next time. Whilst the oil was out we also changed a leaking seal on one of the camshaft chain tensioners. The replacement front bumper has been resprayed and fitted, giving the front end of the car a nice shiny look, ready for the updated 2014 championship decals to be fitted.